CTVI doesn't subscribe to the one-size-fits-all approach, realizing it rarely produces satisfactory results. Identify what will be the most affordable and customized solution for you. 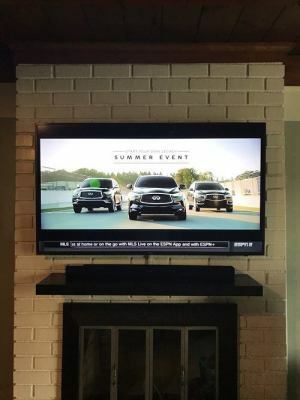 CTVI specializes in Professional TV Wall Mounting & TV Installation Services Near you. 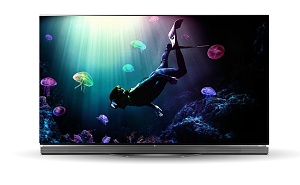 We can mount any size, or brand 4k, LCD, LED, OLED Smart TV. 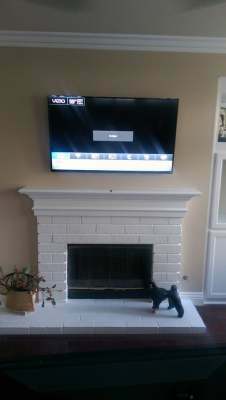 Whether hanging your TV over & above a fireplace in your home, or a TV installation for your office or place of business. We do it right! EVERY TIME! Wire concealment is considered a fine art, often times the difference between a seamless or hidden look, and a disaster. We hear all the time “I just don’t want to see any wires!” and that’s what CTVI aims to deliver. For professional surround sound audio installations, mounting indoor or outdoor speakers or sound bar installation, call CTVI. We offer expert installations for all of your home audio needs. 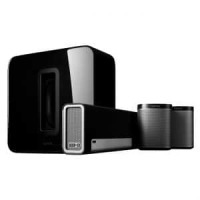 We handle 2.1, 3.1, 5.1, 7.1 or 7.2 surround sound systems. "What should I have in place before you get here?" "We would like to book your services, whats next?" Great! You can either fill out our form with your info, call us at (800) 789-4307 or if you prefer, you can text us at (714) 587-4009. 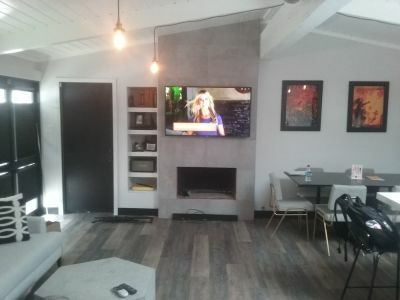 "We seen pictures of just a TV on the wall and nothing underneath, can we have that done?" In most cases, Yes. We have quite a few techniques to achieve that look. "I have a soundbar, can you install it for me too?" Absolutely, we can mount it on your wall, or attach it to your TV if you prefer. We'll also make sure its configured, updated, and give you a tutorial before we leave! "Hello Coastline, should we have the cable installed before you come out?" Not necessary, we can come before, at the same time, or afterwards. Either way, we will be making sure everything is perfect for you! "What is your Service Coverage?" We will go above and beyond to become your Home Audio/Video Installation Company for life! We were about to give up looking for someone who could install our 55 inch above our marble fireplace. Most installers were shy about the job due to the marble. However, I left a message with Coastline and within an hour Matt contacted me, gave me pricing and set up an install date. On the day of install, I was notified of the ETA and it was exact. Matt took the time to explain everything before starting the install. 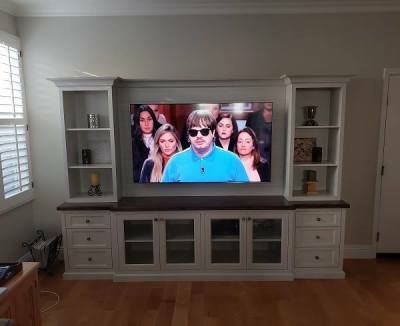 After the install was completed, he took the time to give me and my husband a tutorial on the setup and even educated us on ways to enhance our overall home theater system!! Amazing work! Top-notch professional who went above and beyond! Can't say enough about how efficient Matt's work was with installing my 55" LED and how cost effective his service was in comparison to Geek Squad. I was really satisfied with the work he did and what little time it took for him to complete it. I highly recommend Coastline Installs to anyone in need of a LED installation, especially under short notice. You'll come away equally impressed! "Coastline tv install provided excellent service from the moment we booked. What caught our attention was their affordable prices. They are so informative and knowledgeable and will walk you through the whole process before hanging your tv. Matt and his assistants were very respectful in our home. They spent extra time helping us decide what audio system to go with and we really appreciated the time they took with us and answered all of our questions. We are having them come back to install a TV in our guest room next. 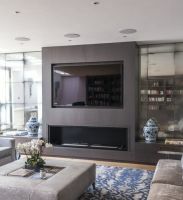 We will be referring them for any tv mounting services in the future." Matt has installed two TVs for me. I was impressed by his knowledge and attention to detail. He is a true perfectionist who strives to not only properly mount the TV, but also ensures it is straight, centered, and working properly. I highly recommend Coastline TV Installs. Matt was great to work with. 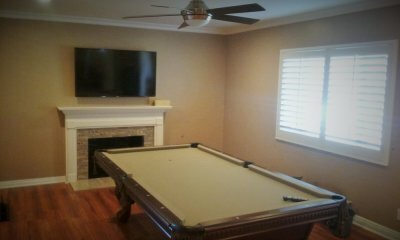 I called and left a message on what I was hoping to have done (mount tv above brick fireplace as well as hook up sound bar). He texted me a few minutes later and scheduled a time to come out. On the day of the job, he texted me when he was on his way and when to expect him. Once here, he surveyed the area and what he believed would be the best setup. Agreed with what he had in mind and went to work. He was very professional and would recommend anyone that's looking to get any TV installation/mounting/audio/cable management/etc done. Would suggest calling him if you're in the Lakewood/Long Beach area as he's familiar with the homes and layouts. Give him a call if you're looking to get hooked up! Thanks again Matt! ~DJ S. Los Angeles, Ca. ~Dara Lynn (QVC). Huntington Beach,CA. Coastline TV Installs is locally owned and operated out of Long Beach,Ca. 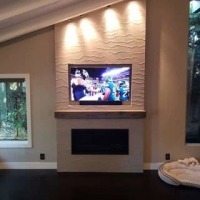 For over 15 Years we have provided TV Installation in Orange County, TV Mounting in Los Angeles, some parts of Riverside County and all surrounding areas for both our Residential and Commercial customers. We strive to build long-lasting relationships with our customers by providing outstanding Home Theater, Professional TV Installations​ and Affordable TV Wall Mount Installation Specials; by being professional and respectful while working in your home or business; and by providing consistent, clean craftsmanship; unparalleled knowledge and expertise. More importantly, we are committed to doing everything it takes to make our customers happy! 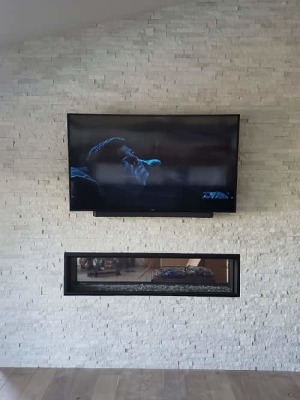 Whether you’re wall mounting any brand or size flat screen No Gap, OLED/LCD/LED, QLED, Ultra 4k, HD, Smart TV, Art TV, mounting speakers on the wall, or need help programming/consolidating all your remote controls into one, our experienced Local TV installers have the knowledge and experience to get things done right. 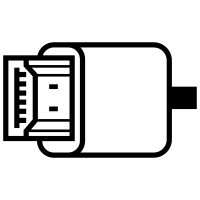 We provide a 5 year warranty on all Services and lifetime warranties on cables and mounts purchased through us.